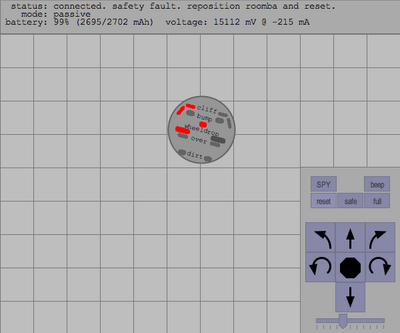 RoombaComm is Java library for communicating and controlling the Roomba. It works on any operating system that RXTX supports. This includes Mac OS X, Linux, and Windows. It also works with Processing. It will soon work with Flash and Max/MSP. It’s been a work in progress for several months and has gotten a little better as I work through improving it for the book . Several bugs have been fixed, particularly with respect to Bluetooth on Windows. See the README for some info on that. The error messages you see in Processing are because Processing changed the name of some of its functions slightly. “framerate” to “frameRate” is the most common change, and you can try that out really quickly in the .pde sketch file you’re trying to run. First off, thanks for all your work on this. It’s really pretty impressive. I’m trying to run roombacomm, but I’m getting a “this code must be updated” error in processing 0154. Is this project abandoned, or are you planning to update the source?